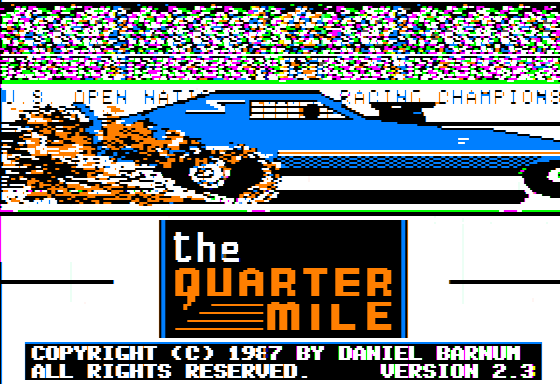 Among the tens of thousands of computer programs now emulated in the browser at the Internet Archive, a long-growing special collection has hit a milestone: the 4am Collection is now past 500 available Apple II programs preserved for the first time. 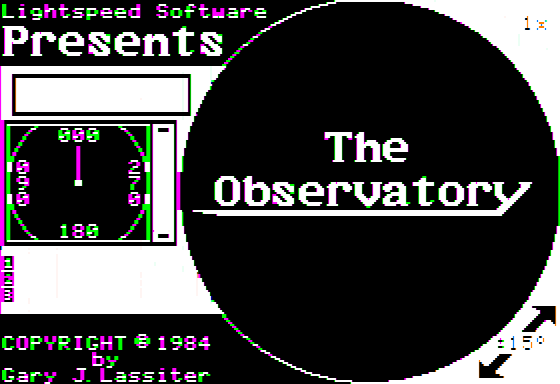 In fact, all the screenshots in this entry link to playable programs! If you’re not familiar with the Apple II software library that has existed over the past few decades, a very common situation of the most groundbreaking and famous programs produced by this early home computer is that only the “cracked” versions persist. Off the shelf, the programs would include copy protection routines that went so far as to modify the performance of the floppy drive, or force the Apple II’s operating system to rewrite itself to behave in strange ways. Because hackers (in the “hyper-talented computer programmers” sense) would take the time to walk through the acquired floppy disks and remove copy protection, those programs are still available to use and transfer, play and learn from. One side effect, however, was that these hackers, young or proud of the work they’d done, would modify the graphics of the programs to announce the effort they’d put behind it, or remove/cleave away particularly troublesome or thorny routines that they couldn’t easily decode, meaning the modern access to these programs were to incomplete or modified versions. For examples of the many ways these “crack screens” might appear, I created an extensive gallery of them a number of years ago. (Note that there are both monochrome and color versions of the same screen, and these are just screen captures, not playable versions.) 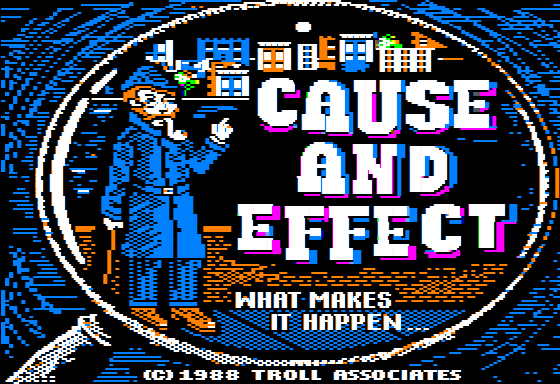 They would also focus almost exclusively on games, especially arcade games, meaning any programs that didn’t fall into the “arcade entertainment” section of the spectrum of Apple II programs was left by the wayside entirely. With an agnostic approach to the disks being preserved, 4am has brought to light many programs that fall almost into the realm of lore and legend, only existing as advertisements in old computer magazines or in catalog listings of computer stores long past. These extensive write-ups shine a light on one of the core situations about these restored computer programs. As 4am has wryly said over the years, “Copy Protection Works!” – if the copy protection of a floppy disk-based Apple II program was strong and the program did not have the attention of obsessed fans or fall into the hands of collectors, its disappearance and loss was almost guaranteed. Because many educational and productivity software programs were specialized and not as intensely pursued/wanted as “games” in all their forms, those less-popular genres suffer from huge gaps in recovered history. Sold in small numbers, these floppy disks are subject to bit rot, neglect, and being tossed out with the inevitably turning of the wheels of time. This collection upends that situation: by focusing on acquiring as many different unduplicated Apple II programs as possible, 4am are using their skills to ensure an extended life and documented reference materials for what would otherwise disappear. Already, the collection has garnered some attention – the “Classifying Animals With Backbones” educational program linked above has a guest review from one of the creators describing the process of the application coming to life. And a particularly thorny copy protection scheme on a 1982 game of Burger Time went viral (in a good way) and was read 25,000 times when it was uploaded to the Archive. In a few cases, the amount of effort behind the copy protection schemes and the concerned engineering involved in removing the copy protection are epics in themselves. 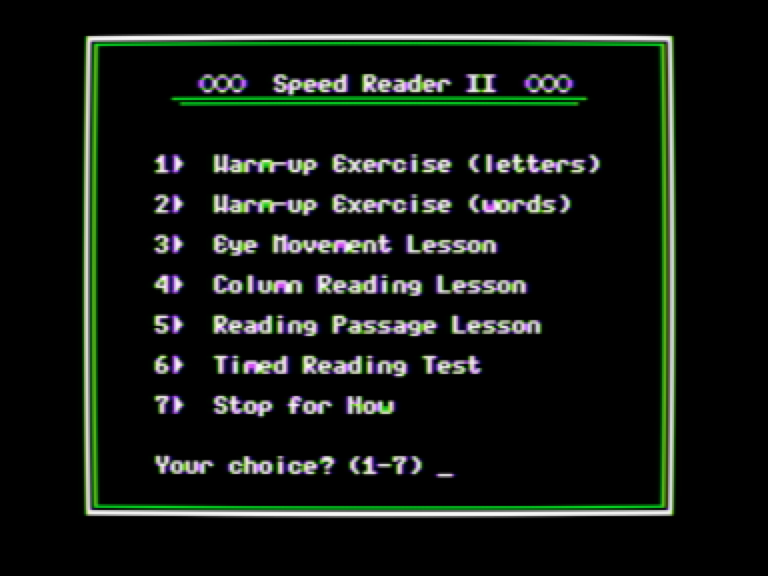 As an example, this educational program Speed Reader II contains extensive copy protection routines, using tricks and traps to resist any attempts to understand its inner workings and misleading any potential parties who are duplicating it. 4am do their best to walk the user through what’s going on, and even if you might not understand the exact code and engineering involved, it leaves the reader smarter for having browsed through it. This project has been underway for years and is now at the 500 newly-preserved program mark – that’s 500 different obscure programs preserved for the first time, which you can play and experience on the archive. 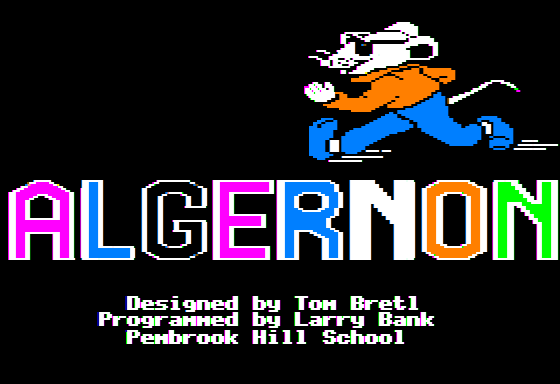 This entry was posted in Emulation, Software Archive. Bookmark the permalink. 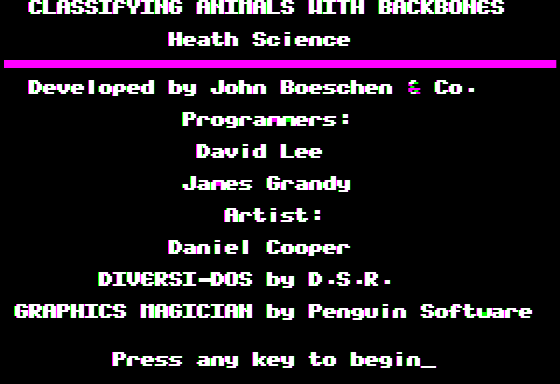 On behalf of Apple][ enthusiasts as well as humanity, “I thank you”. I still have a working Apple//e (with Z-80/CPM card, two 5.25 inch floppy drives, etc) set up in a spare bedroom. This was the platform I learned to program in: Integer BASIC (written by WOZ), AppleSoft BASIC (written by Microsoft for Apple), Apple’s version of UCSD Pascal, Apple Fortran, and 6502 Assembler. Anyone out there remember Sweet16 or the Graphics Toolkit?